Cauliflower Rice is so easy to make and is such a tasty replacement for traditional steamed rice. 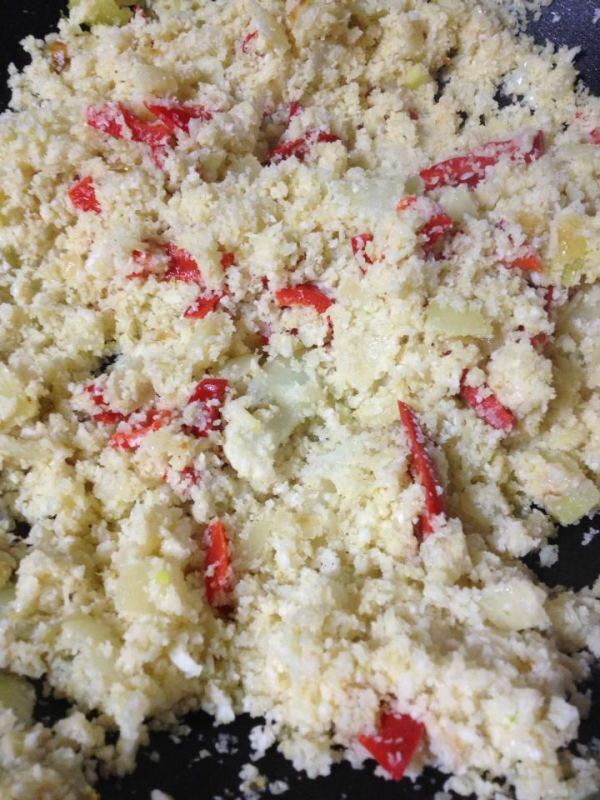 Pulse cauliflower florets through your food processor until it looks like large crumbs. You may need to do this in batches, depending on the size of your machine and the amount of cauliflower you want to cook. 1/5 of a cauliflower is generally enough for 1 person. Heat around 2 tablespoons of coconut oil in a wok. 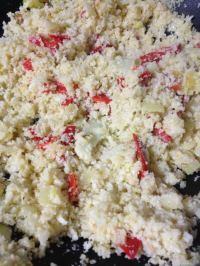 Once the onion is transparent, toss in your cauliflower and stir-fry until the cauliflower is cooked. This will take around 10-15 minutes. 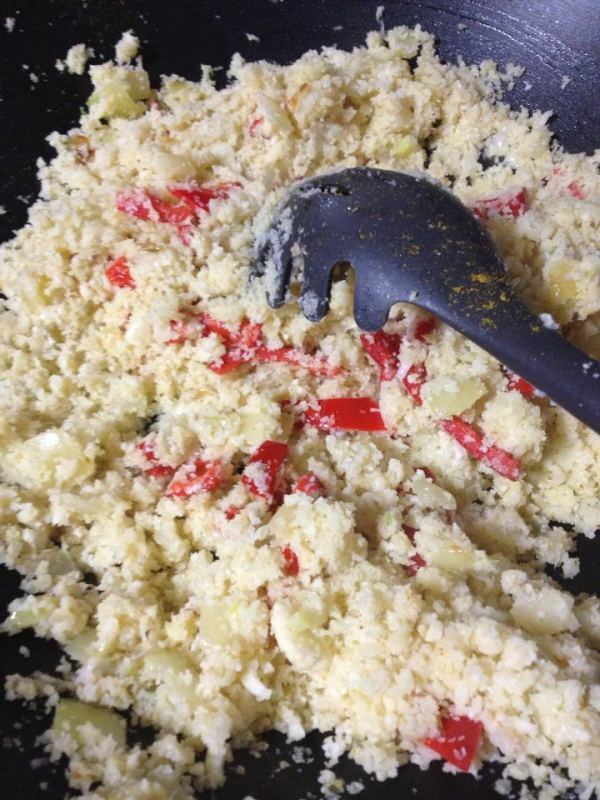 Stir constantly so that the cauliflower doesn't burn. Enjoy with your favourite Asian dish! You could also add herbs and spices, vegetables, bacon, prawns, whatever takes your fancy. I added some diced red capsicum to the one pictured.